On our forum we recently had a driver ask if their DUI arrest from 11 years ago would be considered if they were recently arrested in Missouri. To answer this question we need to review Missouris look back laws to determine if the drivers first Missouri DWI offense will be considered to enhance the drunk driving penalties of their most recent Missouri DWI arrest. What is a look back period for a Missouri DWI? Look back period is the legal term used by a state to determine whether a drivers previous DUI or driving under the influence conviction will be used to enhance the current DUI penalties of their most recent drunk driving charge. Unfortunately, because states laws vary, drivers must understand the look back laws in their state. Generally, the look back period in many states is five years, but some states have a lifetime look back period. The average amount of time in most states is 10 years. Look back laws also generally begin on the offenders arrest date, not the conviction date. Missouri has a look back period of five years so if a drivers second drunk driving arrest is more than five years from the first DUI arrest than the courts will not consider the first DUI when assessing penalties. Unfortunately, even DUI penalties for a first-time drunk driving arrest can be severe. The driver in question will be charged with a Class B Misdemeanor, is likely to face up to 6 months in jail, fined up to $500, and they will lose their license for 30 days (followed by a 60 day restricted driving period). The driver will also have to complete SATOP the Missouri Substance Abuse Traffic Offender Program to have license reinstated. Is the first DWI erased from my driving record? Some drivers assume that if the look back period has passed than the DWI is automatically expunged from their driving record. This is not correct. Although the courts do not consider the first DUI when assessing penalties, this does not mean it will not appear on your driving record. Can you get your Missouri DUI expunged? Only if you are a first-time offender without any prior DUIs. You will also have to wait 10 years from the conviction or guilty plea and apply to the court where you were convicted. Can I get my DWI reduced to a wet reckless? 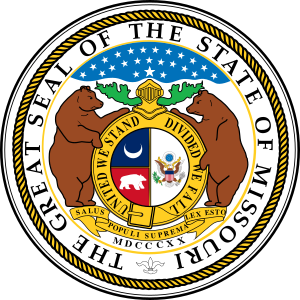 The state of Missouri does occasionally allow a DUI charge to be reduced to a wet reckless, but Missouri has not outlined specific statutory provisions for when this is allowed. This means that if you are considering a plea agreement you will want to discuss this option with a drunk driving lawyer. A drunk driving lawyer can review your drunk driving arrest and determine if the prosecution has a DUI case against you. In some instances you may be arrested for DUI but the state may determine that they do not have enough evidence to charge you with drunk driving and may drop the case.